The inflatable obstacle courses, also known as the obstacle passage, is a kind of amusement facility which is made up of the inflatable products for people to have fun through obstacle . The main products include children's inflatable castle products, such as crocodile island, escape from cannibalism flower theme interesting barrier products. The common inflatable obstacle course are mazes, aeration barriers on water, maze castle obstacles and so on. The material is made of PVC mesh fabric of advanced and specially designed smooth fabric, which is resistant to cold and sun exposure, high tensile and tear strength, flame retardant and cold resistance up to minus 40C. In the inflatable course of play, substances or accidents that do no harm to human body are not likely to occur. Mainly for children or adults to provide different levels of difficulty barrier, to be the first to complete the victory. The fun process is not only full of stimulation, but also can improve all aspects of the human body, such as physical exercise, analytical power, perseverance and other comprehensive abilities. 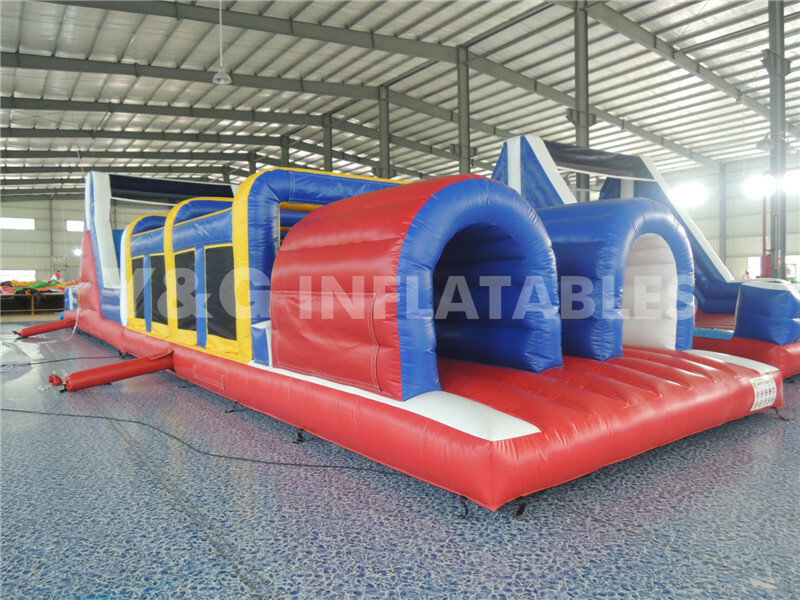 Inflatable obstacle course specifications can be customized in different sizes and shapes. The features of inflatable obstacle course is the three-way, combined, integrated span, crossing, turning, climbing, climbing, sliding and other structures.With the popularity of the inflatable obstacle race, many TV programs began to launch the program of the inflatable obstacle courses. After the program was broadcast, it was highly praised by the audience.